Sideline Prep | It’s Hard to be Perfect… but We Did It!! It’s Hard to be Perfect… but We Did It!! We all know in actuality that no one is perfect. Perfection is something that we may strive for but it’s almost impossible to attain. So, I’m sure the subject line of this email probably peaked your curiosity. So what exactly do I mean when I say that we – Sideline Prep – reached perfection? Well, last month we wrapped up the audition process for the NFL. 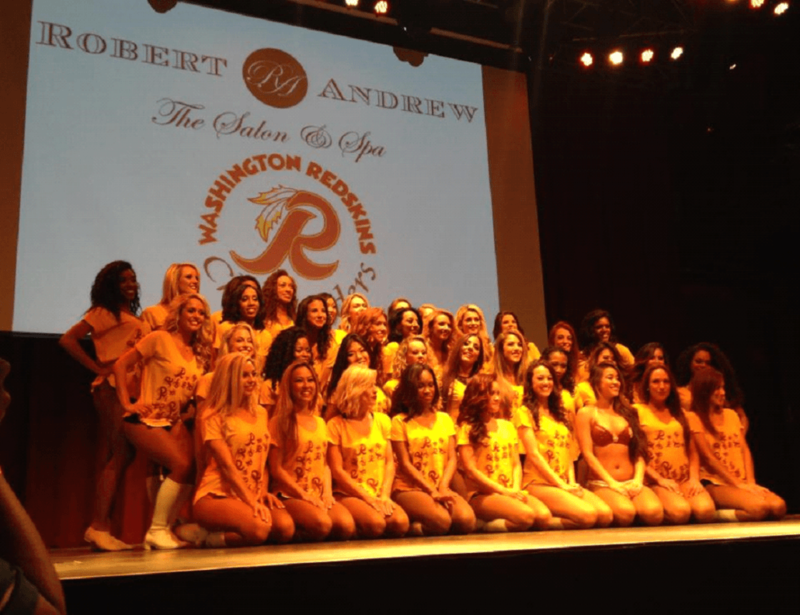 Specifically for the Washington Redskins Cheerleaders (WRC), 100% – ALL – EVERYONE on the Rookie Class for the 2015 – 2016 Season are Sideline Prep Lovelies! That’s dang on pretty close to perfection!! 14 of the 14 Rookies worked with Sideline Prep either this year or in year’s prior through one-on-one or virtual sessions, workshops, or coaching programs. I was BLOWN away as the names were called off at the auditions!! ⦁ Erika, Jackie, Stephanie, Kellie, Felicia, Javai, Jade, Jaclyn, Taylor, Tonee, Caitlin, Chloe, Aura, & Stephanie R.
Congrats to everyone! But don’t get complacent. Use this year to get BETTER!! For those of you who did not make it as far as you would have liked to or who did not even attempt going to auditions this year, DON’T GIVE UP! There’s always next year and it will be here before you know it. I have received a few disheartening emails, text messages and phone calls from some of you that are discouraged with the audition process. You are feeling defeated and deflated. But now is NOT the time to feel sorry for yourself or to be upset. Now is the time to learn from your experiences and move FORWARD. Today’s feature article and video is about staying positive and motivated, even when things don’t go our way. Now that most of the NFL auditions are over, we need to stay focused, positive, and moving in the right direction to accomplish our next goal. 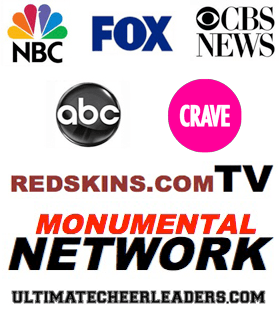 Also keep in mind that Sideline Prep provides one-on-one consultations, VIP Days, VIP Weekends, Workshops and Coaching Programs year round to help YOU prepare for the next audition season. How do you start your day? Do you have a way to ensure that your day starts off on a positive note? Do you have morning rituals? When things don’t go your way or when situations in your life are less than desired or perfect… and even when things are great… you should rediscover productivity at the start of your day. You need not wake at the crack of dawn in order to have a productive start to your day. But you do need to take a close look at how you start your day and figure out how to get more from it. Establishing a morning ritual is one good way to do just that. ⦁ A morning ritual gives you a reason to get out of bed in the morning. We all need something to get out of bed for! Once you’ve found the right mix of action and stillness, sound and silence that gets your day off to a perfect start you’ll never want to miss out on your ritual. ⦁ It makes your morning routine more of a habit than a question. Your alarm goes off and there’s no need to think about what you’ll do next. You simply do what you always do. ⦁ Starting your day with a few simple tasks is an easy way to begin a cycle of results that’ll power you through your day. Something as small as a thinking about what you are grateful for may not seem like a big accomplishment until you’re having a hard day and realize that you’re only thinking negative thoughts. If you’re having a hard time thinking about what should be in place for your morning routine, take a look at this video. Enjoy! 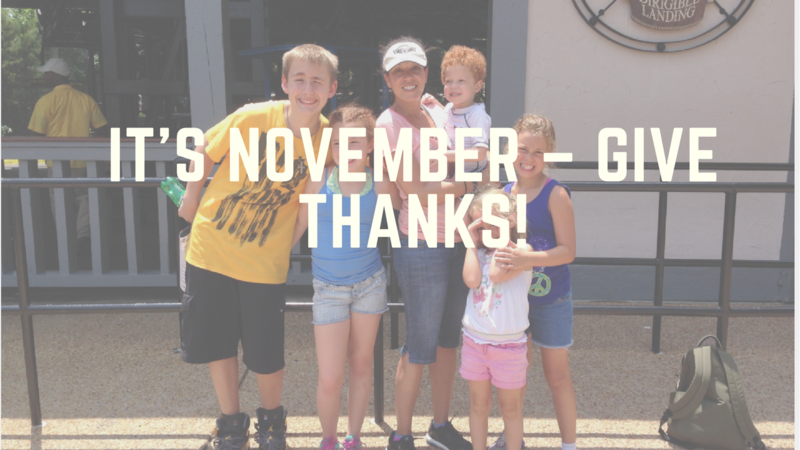 It’s November – Give Thanks! It’s That Time Again!